Fashion Designers are artists who often fail to see their designs as intellectual property, and miss some big licensing opportunities. Fashion design licensing is big business, generating over 16 billion dollars in retail sales in 2013. It’s a strategy used by large and small designers to reduce risks, launch new products and venture into different markets. Your fashion design is a multi-dimensional IP. Trademarks and brands are the most visible and often the most valuable type of IP. Examples include Louis Vitton, Nike and Gucci. Trade dress is also a big part your IP. It includes the design and appearance of your product, such as Tiffany’s blue color jewelry boxes or Louboutin’s red shoe soles. 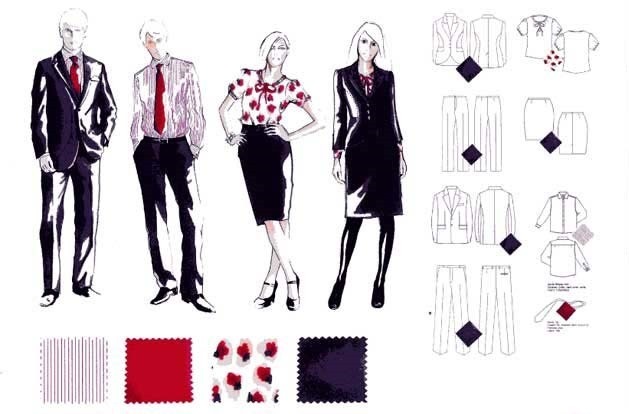 Fashion copyrights include the prints, artwork, patterns and color arrangements you apply on your products. The Paul smith striped pony and the 2012 Olympic outfit designs are two examples of fashion copyrights. If your product is really new and novel, it can be protected by a design patent. Many big designers use this option including Lululemon Athletica (yoga pants), Oakley (sunglasses) and Vanetta (handbags). Licensing can turn your fashion design into a multi-dimensional lifestyle brand. You can license out to a variety of other product categories, such as bags, accessories, perfumes, and sunglasses. An example is Dolce & Gabbana, who focuses on selling its high-end products, and licenses its brand on eye wear, watches, scarves, ties, perfume, foear and mens underwear. Licensing reduces the financial risks of producing and selling your products. When Ralph Lauren’s business (shirts, ties and suits) was rapidly expanding, he didn’t have the money to support it. So he refocused on design only and used licensing to get a 5% – 8% royalty from the manufacturers of his licensed products. Licensing is a way to expand your designs into different retail channels, such as high-end and mid tier retailers. Isaac Mizrahi in Target, Vera Wang in Kohl’s and Stella McCartney in H&M are all examples of fashion brands that created low-end designs exclusively for these mass market retailers. Successful fashion licensing programs are invisible to the consumer. Quality control is key. It ensures every licensed product reflects your design quality and brand image. This includes fabric, stitching, and even manufacturing techniques. Fashion design is more than just clothing, handbags and accessories. It’s a multi-dimensional IP with many layers of IP rights. When joined, these rights give a barrier of protection for your fashion design IP. Don’t overlook licensing these rights. It’s an effective strategy for building and sustaining your fashion designs in today’s fast moving marketplace.